As we head towards the official unveiling of Huawei's next big flagship series, the leaks and rumors have begun to intensify around the Chinese phone maker's upcoming Huawei Mate 20 and Mate 20 Pro handsets, with a pair of new leaks giving us yet another unofficial look at the supposed devices. As reported by Phone Arena (via /Leaks), the leaked images show what appear to be the front panels of both the Mate 20 and Mate 20 Pro handsets, with the former sporting a teardrop-shaped display cutout, and the latter featuring Samsung Galaxy Note 9-style curved edges and a more distinct iPhone X-inspired notch that will reportedly house a 3D facial scanner. Along with the leaked front panel images, the report also offers a sneaky image of a purported Huawei Mate 20 prototype that was taken in China that seems to confirm a number of previously reported features, including a round, rear-mounted fingerprint scanner and a weird 2 x 2 rear camera arrangement. 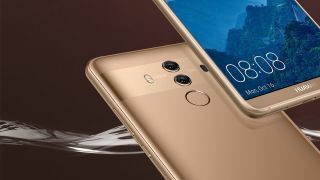 Though the Mate 20 and Mate 20 Pro have yet to be announced (they do seem quite likely, given the existence of the Huawei Mate 20 Lite), it has been confirmed that Huawei's next flagship handset(s) will be powered by the new Kirin 980 chipset. We expect Huawei's Mate 20 series to be officially unveiled in October, as per last year's Mate 10 launch. You can check out the latest leaked images below.